Wellington harbour is the setting for the opening of the 2018 New Zealand Festival, with a fleet of waka sailing into the harbour at dusk on Friday 23 February. Te Aturangi Nepia-Clamp, a member of Arts Access Aotearoa’s board, managed the building of four of the waka hourua taking part in the event. Te Aturangi, who is CEO of the Tairawhiti Voyaging Trust, managed the project from 2008 to 2010. One of the waka, Hinemoana, is sailing from Tauranga and was hosted by the trust in Gisborne on its voyage south. 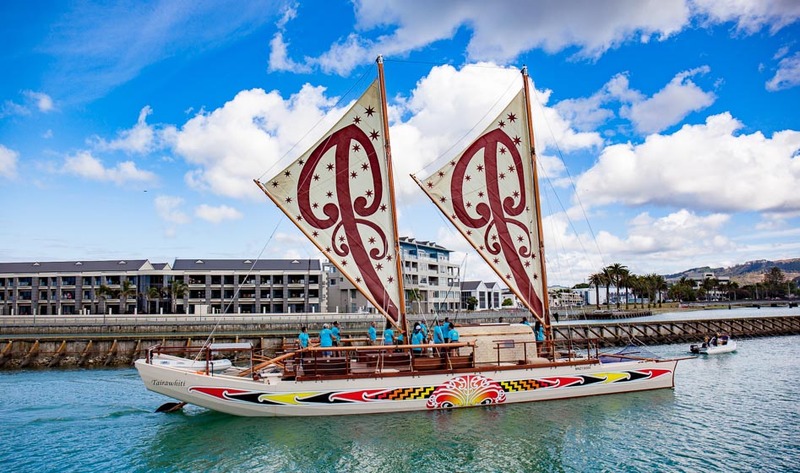 Called A Waka Odyssey, the event will see seven waka hourua (double canoes), eight waka taua (war canoes) and a fleet of waka ama from around New Zealand – all helping to retell New Zealand's story of the navigation through the South Pacific to these islands. They will be greeted by a karanga from actors, choirs, and a thousand-strong haka led by Te Ati Awa to mark the opening of the festival. The powhiri will include Trinity Roots musician Warren Maxwell playing a full musical score, which will be relayed around the harbour. Te Aturangi, who is attending an Arts Access Aotearoa board meeting on Saturday, is looking forward to the spectacle of A Waka Odyssey. Running over five days with a series of events, it includes a whānau day on 24 February at Petone Beach where families can get close up with the waka and meet the crew. Te Aturangi sent Arts Access Aotearoa two photos. The first photo was taken in 2008 when the Cook Islands waka hourua sailed from Rarotonga to American Samoa. 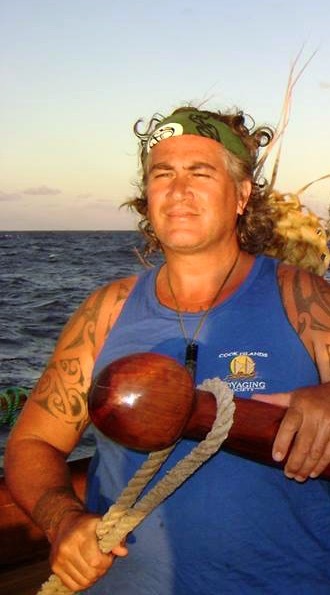 “While we were in America Samoa, I was commissioned to project manage the build of a fleet of seven waka hourua, four of which are planning to attend A Waka Odyssey, weather permitting,” he says. The second photo is of Tairawhiti, a new waka hourua arriving in Gisborne after her maiden voyage from Auckland to Gisborne on 24 December 2017. “Once again I am on the steering paddle,” he says. Original generation time 1.9433 seconds. Cache Loaded in: 0.0621 seconds.